With so much emphasis on quality content these days (and rightfully so! ), it's easy to forget about some of the other things that make an effective blog tick. But let me tell you -- building a successful business blog isn't just about creating content. And if that's the only thing you're focusing on, you're definitely not using your blog to its fullest potential. What I'm talking about here is blog optimization. Not in terms of search (although that's important, too), but rather in terms of using your blog to move prospects through the marketing funnel. So how do you optimize your blog for every stage in the marketing funnel? Well, we've already written posts about how to optimize for nurturing casual visitors into dedicated subscribers, and how to optimize for nurturing your current leads ... but what about those inbetweeners? No, I'm not talking about the British sitcom. I'm talking about those people who are active subscribers, but not quite leads for your business yet. Well, those inbetweeners are exactly who we're going to focus on today. Let's take a look at some effective, contextual ways to optimize your blog to nurture those subscribers into valuable business leads. Don't just start shoving lead conversion opportunities down your brand new subscribers throats right off the bat. 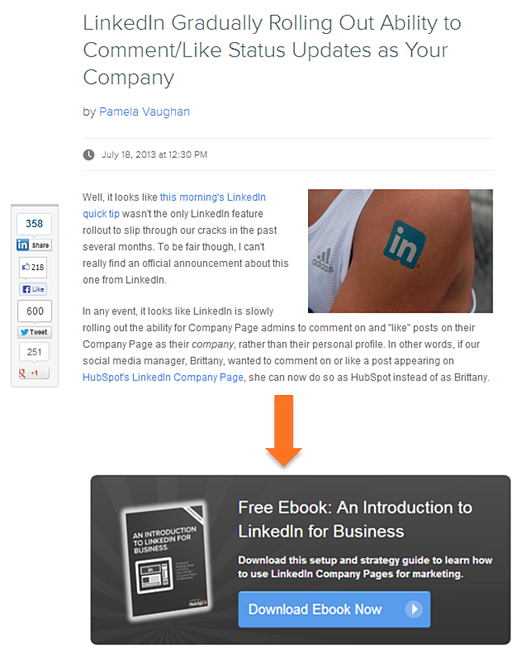 Start warming up to your new subscribers with an automated welcome email. Use this email to show recipients how much you appreciate having them as subscribers, remind them what they signed up for, and let them know about any other action items. 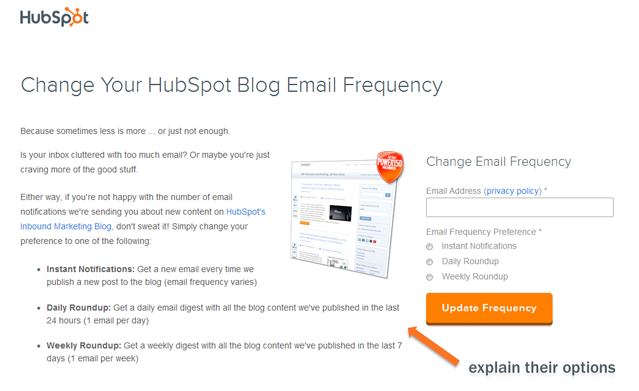 For example, if you offer email frequency options (e.g. instant notifications vs. a daily, weekly, or monthly roundup), let subscribers know how they can change their preferences to suit their needs (more on this next). You can also encourage your subscribers to follow you in social media for additional content updates -- a great way to increase your social reach. Finally, if you already have some personal information in your contacts database about your subscribers, use it to personalize the email. If your blogging software enables you to offer various email frequency options, make sure your subscribers are aware of them! The fastest way to turn off some blog subscribers is by bombarding them with an email every single time you publish a new post. 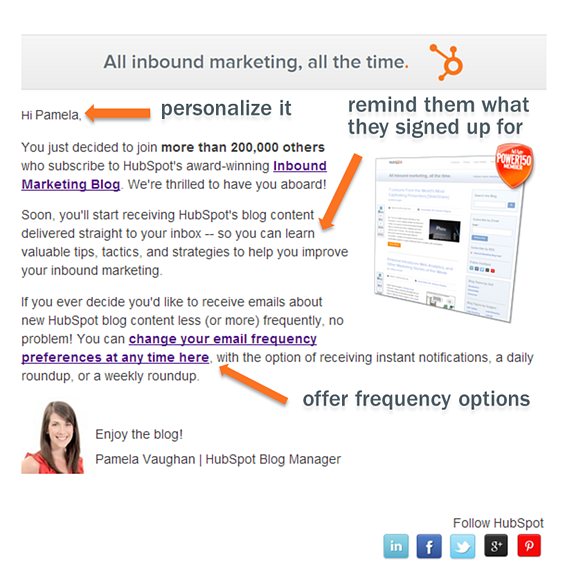 While instant post notifications may be the preference for some, others might prefer just one daily, weekly, or monthly email roundup of your recent content (all of which are options with HubSpot's new Blog COS). So let them know how to change their frequency preferences -- and that they're welcome to do so at any time. 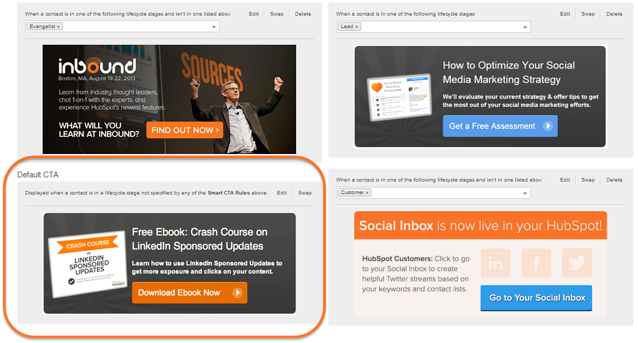 Create a special landing page for this very purpose, and link to it in your welcome emails as well as in the footer of your individual subscriber emails. 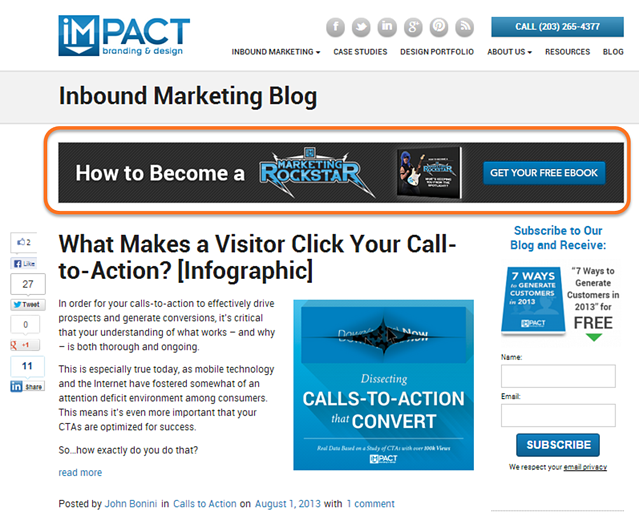 One of the most effective ways to optimize your blog for visitors in different lifecycle stages is through the use of dynamic CTAs (we call 'em Smart CTAs). With Smart CTAs, you can segment which offers get displayed to what site visitors in your blog CTAs, making for a much more relevant, contextual user experience. For blog visitors who aren't yet leads, you'll want to display very top-of-the-marketing-funnel, low commitment, educational offers -- like ebooks, webinars, tip sheets, checklists, templates, etc. -- since they're just starting to get to know your business and what you offer. 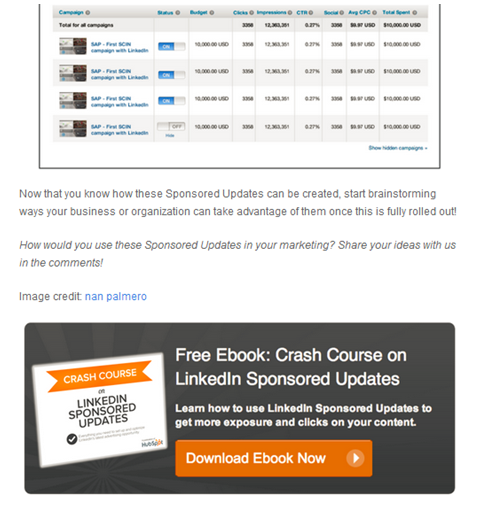 While we're on the subject of Smart CTAs, how about your subscriber emails? If you have control over the design of these notification emails to your subscribers, you might consider including Smart CTAs in here as well. Just keep in mind that the main point of your notification emails is probably to drive subscribers back to your blog, and by including a CTA, you may end up sacrificing some blog traffic for traffic to your landing pages. 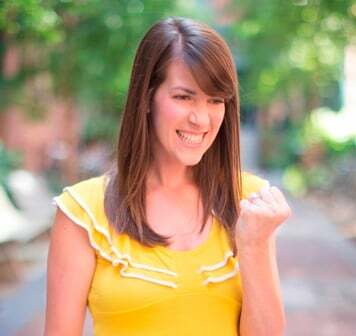 Depending on the goals you have for your blog, this may or may not be a good tactic for you. Another great way to amplify the lead generation effectiveness of your blog is to closely align your lead gen offer content with your blog content. By creating relevant marketing offers that complement your blog content, you'll naturally transition your readers into a lead conversion opportunity. The opposite is true as well. 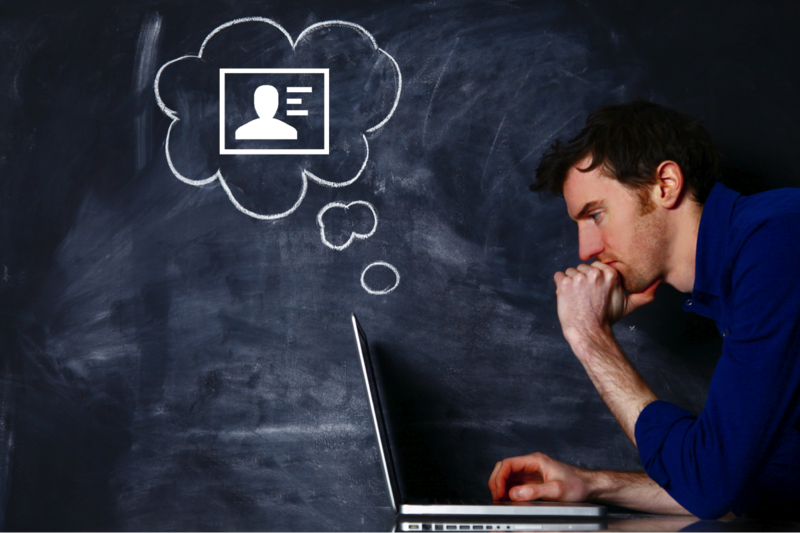 If you have a new lead gen offer, brainstorm content ideas that can be used to promote your new offer. 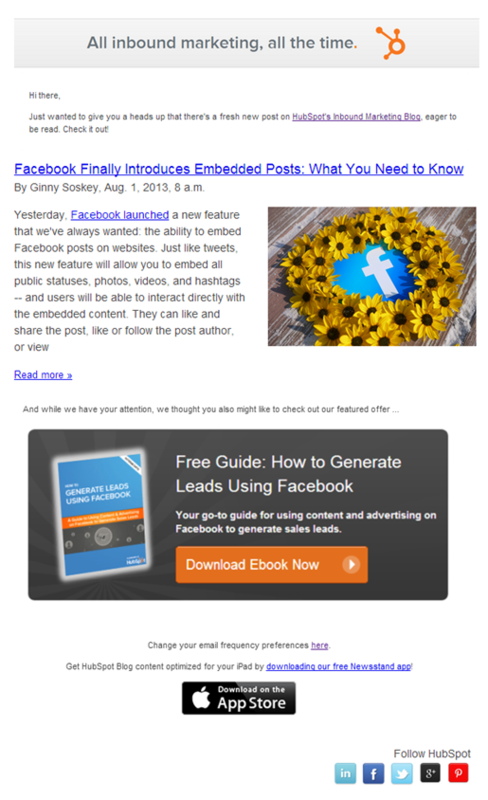 In what other ways can you nurture your blog subscribers into business leads? Share your tips in the comments!